Strabismus or squint is when the eyes deviate from perfect alignment. Normally, both eyes work together to look at the same object. The brain then fuses the two pictures into a single 3-dimensional image, giving us depth perception. With strabismus the eye deviated may be in any direction- inward (esotropia), outward (exotropia), upward (hypertropia) or downward (hypotropia). Strabismus is present in approximately 2% of children. When the eyes are misaligned, two different images are sent to the brain. In adults double vision is recognised, however in a child the brain learns to ignore or suppress the image from the misaligned eye. Depth perception is then compromised and unless treated in childhood years, amblyopia (decreased vision in one eye) may occur which can be permanent. Eye muscle imbalance or paralysis. Strabismus can also be hereditary. All children should have their vision assessed at an early age particularly if a family history of strabismus is present, or if parents notice signs of strabismus. An obvious sign is that an eye is not straight or does not appear to be looking in the same direction as the other. Parents may notice that their child may squint one eye in bright sunlight, or that they are not interested in looking at objects that have fine detail (such as small or detailed toys or pictures in a book). A child may also show signs of compromised depth perception (due to the presence of strabismus) by bumping into objects or missing an object when reaching for it. Occasionally a child may complain of double vision and should be seen promptly by an ophthalmologist, however double vision may be unlikely if the strabismus has been present since birth. Dr Martin and his orthoptist will determine the cause of the strabismus and treatment will be initiated accordingly. What is the treatment of Strabismus? Treatment for strabismus aims to preserve vision, straighten the eyes and restore binocular vision. When the strabismus is caused by a refractive error, wearing glasses to improve vision may completely straighten the eyes or at least make an improvement to eye position. If the child has a strabismus with amblyopia patching treatment will be initiated. The good eye is covered with a patch in order to force the eye with weaker vision to be used. This improves vision of the weaker eye and is carefully monitored by the orthoptist and Dr Martin. Patching, however, does not cosmetically straighten the eyes. An operation on the eye muscles may be necessary to straighten the eyes. Dr Martin will determine if surgery is appropriate in a child or adult. Surgery is performed on a child to achieve cosmesis and a functional result (i.e. to hopefully obtain binocular vision), and on an adult to achieve cosmesis. 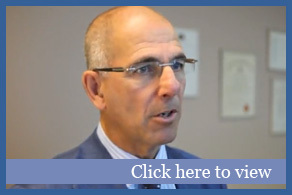 Dr Martin will need to monitor your progress following surgery and continue treatment if necessary. 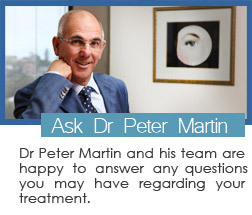 Dr Martin and his orthoptist will determine the cause of the strabismus and treatment will be initiated accordingly.